Forty Hall is another of Enfield’s garden and open spaces with the added benefit of a wonderful early Jacobean Manor house. Enfield Council has renovated the house and now the garden so it is much as it was when first built. Down by the river there are the remains of Elsynge Palace where Henry VIII is supposed to have planned the dissolution of monasteries. As the Gunpowder plot was supposed to have been discussed in nearby Whitewebb’s Enfield breathes revolution it seems. With farm and vineyard it is a wonderful place to visit. We walked there the other day and I just want to post a few of the photographs I took. 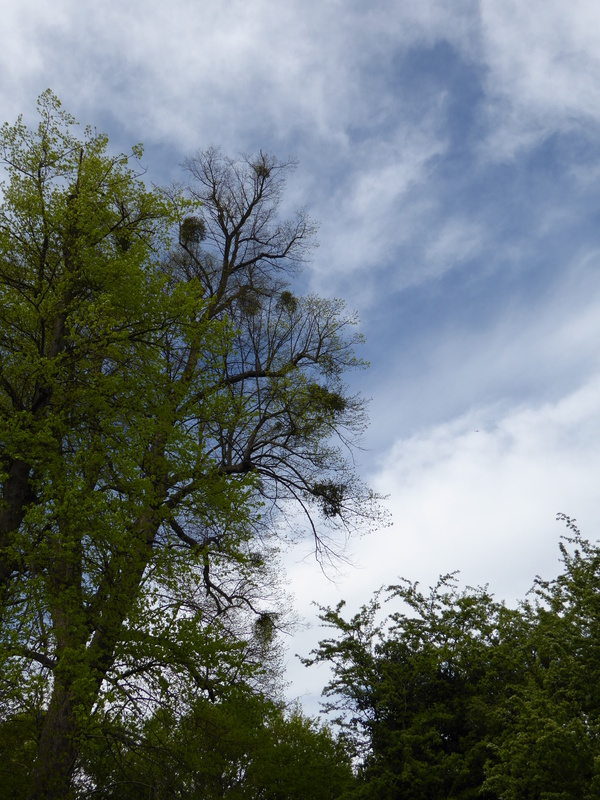 As we have family and a house in France we are often there and I just love to see mistletoe growing in the trees and there is magnificent collection on one of the trees near the river. 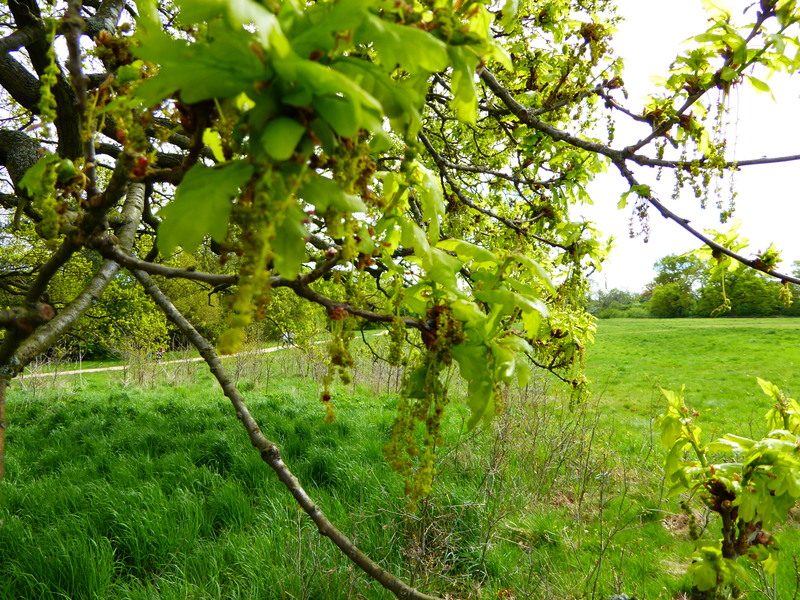 There are many oaks and for the first time I saw some Oak flowers. Never noticed them before. Well they need flowers to reproduce. It’s just I had not noticed them before. The Azaleas were in full bloom and wonderful At one time I would travel to Japan and I remember how beautiful they were there. Well, they are beautiful in Enfield too. 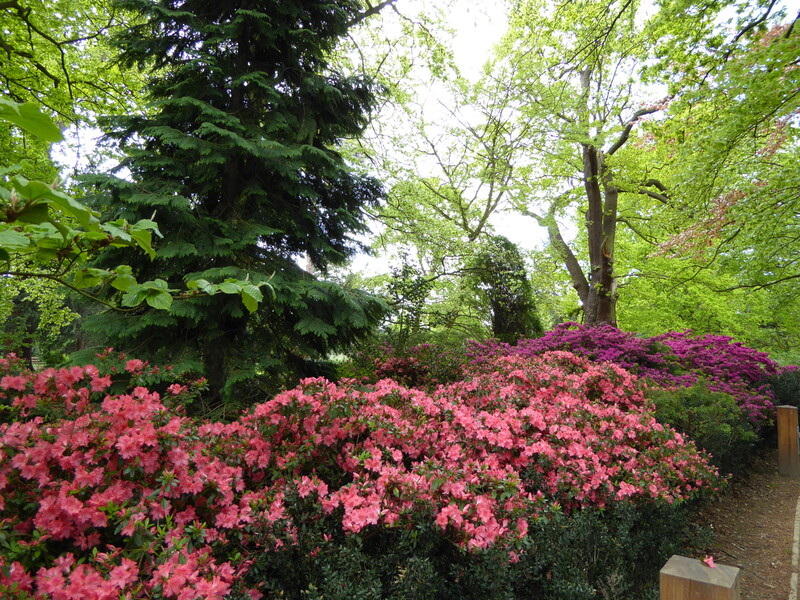 Azaleas on the path from car park to House in Forty Hall. Finally some bluebells. Not many but it always gives me a thrill to come across them. They were growing down by Maiden’s Bridge where Raleigh was supposed to have laid down his cloak on a puddle for Queen Elizabeth I to walk on. 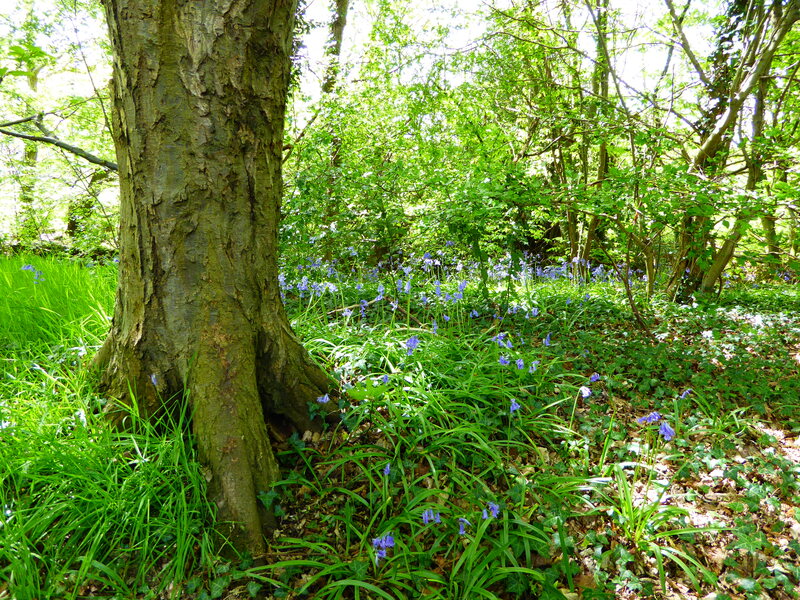 Some Bluebells. Not many but pretty all the same.